The average size of a adult female Boa Constrictor Constrictor Surinam is about 1.90 – 2.20 m.
Boa Constrictor Constrictor Surinams are heavy bodied snakes, they will get larger and heavier than the Boa Constrictor Imperator. 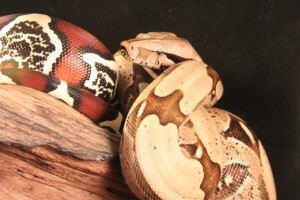 Surinams are known for their intensive red tail and number of saddle pattern (between 17-20) as shown on the picture below. Surinams need a humidity of around 60% – 80%. Around the 2 raining season this may be even a bit higher to simulate the humidity during the rainseason that they have in the wild. Small rainy season from december till Januari and the big rainy season from april till august. The light period being used is 12hrs on and 12hrs off. 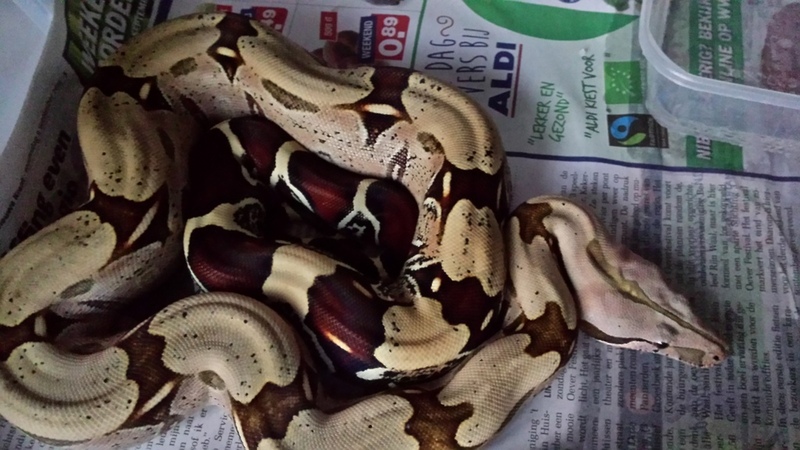 When using lights also as heatsource make sure you put the light to one side of the enclosure. So don’t put it right in the middle. By putting it to the right side or left side of the enclosure you will create a warm side and a cooler side of the enclosure. This way your Surinam can choose for himself/herself what they want. Also put the waterbowl on the cool side of the enclosure, don’t put it underneath the light, this may cause waterrot. We use 40 watt lights, this creates about 30-35 degrees celsius as a hotspot. For feeding (from newborn untill the age of 2-3 years old) it’s very important to feed only proper sized preys with long enough period between each feeding (10-14 days). 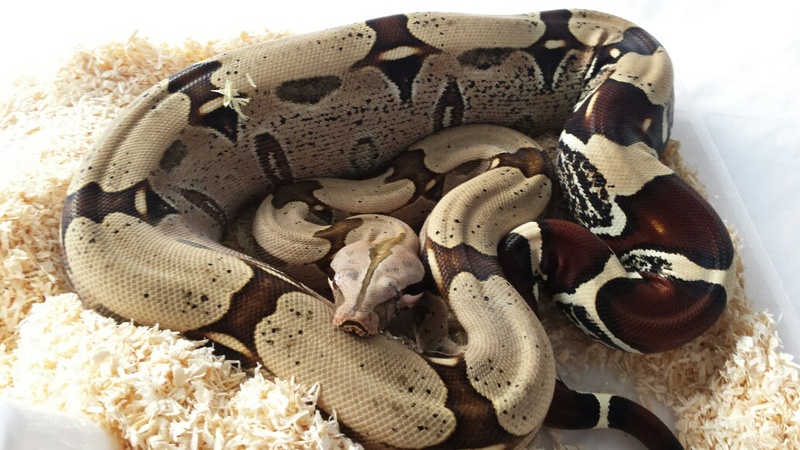 Young Surinams are known for the “regurgitation syndrome”, this starts to occur when preys are too large or when there is very little time between each feeding. 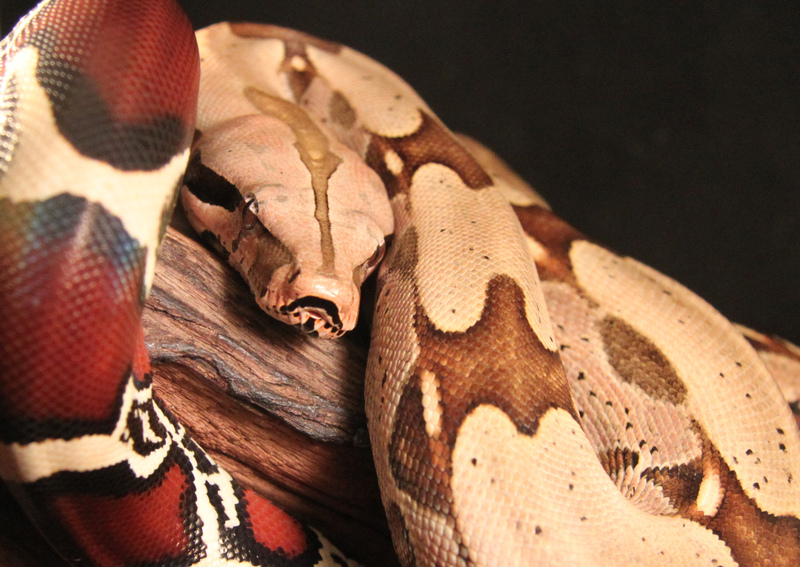 After 2-3 years they can be fed like any other boa (every 2 -3 weeks). 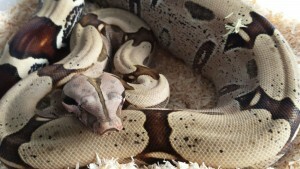 Breeding Surinams is an incredible challenge. 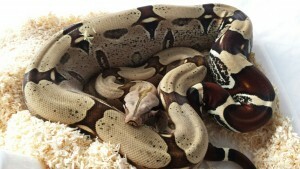 It is quitte different from breeding any other Boa. That is the main reason why it is so hard to find newborn Surinams compared to other Boa’s. Succesful breeding can be achieved with the right knowledge en lots of patience.